Looking for materials and tips for learning Russian? 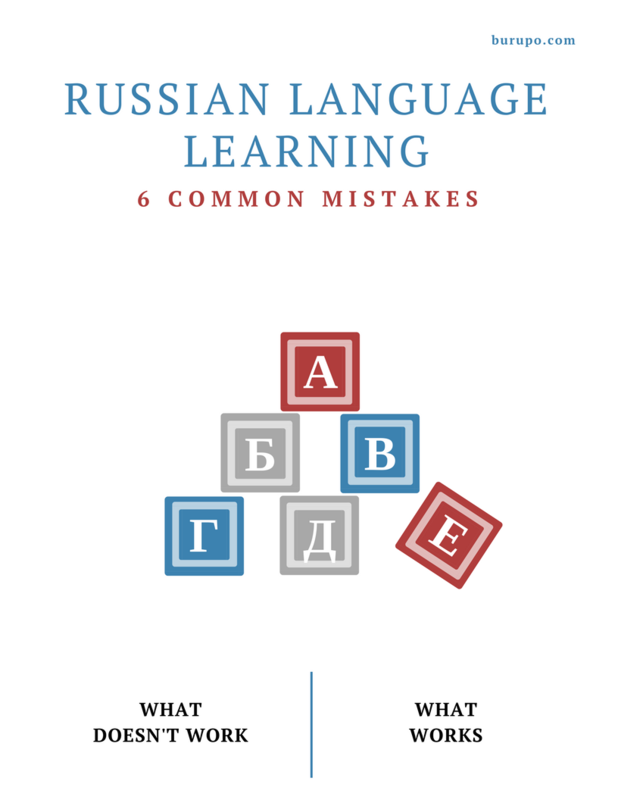 Subscribe to the Russian Language for Life and Work Newsletter and get this free learner’s guide! How to estimate the time you need to spend on learning Russian based on your target-level and deadline. Different ways to use Russian in your everyday life even if you don’t have any Russian acquaintance. Some additional techniques to learn a foreign language passively. What to pay attention to, choosing a language school. How to plan your self-study program. And the newsletter itself is about tips for learning Russian, useful materials, this website’s news and updates, and some special offers when there are any. Just fill in the form to get all these useful stuff!